Focusing on good governance, Prime Minister Sheikh Hasina on Tuesday warned her new cabinet colleagues that they will be under her radar. The premier pronounced this warning when the newly-appointed ministers, state ministers and deputy ministers met her at her official residence Ganabhaban. "Be careful, I’ll always keep you under my surveillance to see who’s doing what," Sheikh Hasina said. Sheikh Hasina asked all to try to know and understand their responsibilities first and then go for discharging their duties. Talking about her anxiety about the 11th general election, Hasina said had the BNP-Jamaat clique managed to return to power there would have been ‘genocide’. "They would just unleash ‘genocide’." She recalled the horrible days after the 1991 election when the BNP government oppressed the political leaders. After the 2001 election, she said, the BNP-Jamaat men acted like Pakistan’s occupational forces. "They raped our girls and women just for casting their votes for Awami League. There was no place left where the BNP-Jamaat men had not unleashed their reign of terror," she said. Hasina, also the chief of Awami League, said if the BNP-Jamaat evil force had somehow managed to come back to power numerous dead bodies would have been found across the country. "They would do what the Pakistani forces did here in 1971," she said. 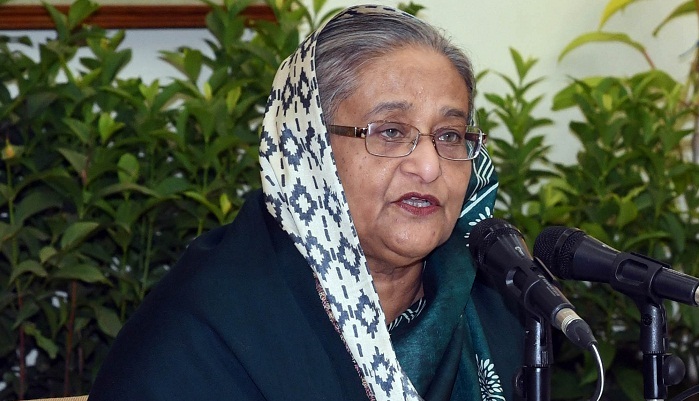 Hasina said the BNP-Jamaat clique would not allow businessmen to do their business freely and hundreds of civil and military officers would have lost their jobs. Talking about her party’s landslide victory in the election, the Prime Minister said this has been possible as the party picked its candidates judiciously. The Awami League chief said she conducted several surveys involving foreign organisations before finally choosing the candidates. About BNP's debacle in the election, Hasina mentioned that the nomination trade cost the party dearly in addition to the undecided leadership of the Jatiya Oikyafront. "They failed to pick eligible candidates for the election as they put their seats on auction." "The voter turnout, especially the presence of women, surprised them," she said. Hasina said the results of this election and that of the 2008 one is very much similar as the voters overwhelmingly voted for Awami League.